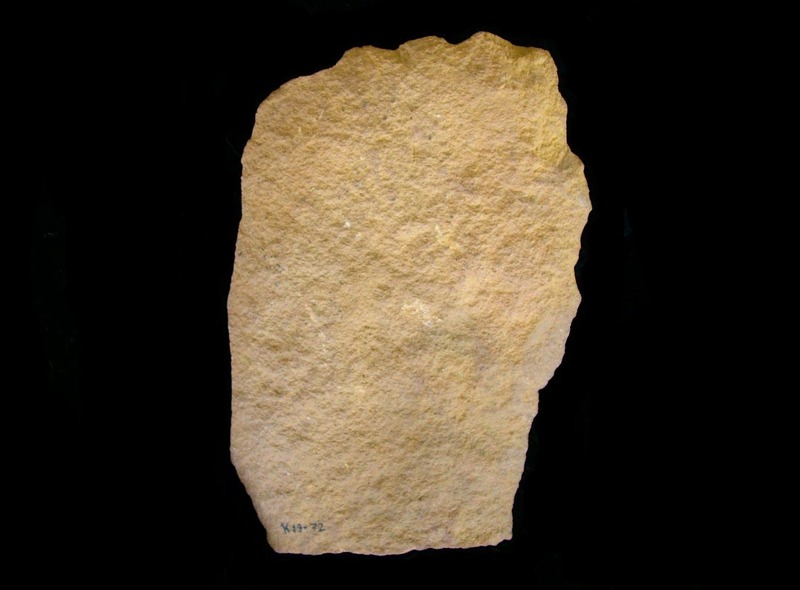 I consider this artifact to be one of the two most important artifacts posted on this website, the other being the "Blood Stone". The research with this is dedicated to Putzi and Yumi of 89/90 - Steadfast and Faithful, it is also dedicated to all tribal peoples of the Northern Hemisphere, as many have continued with at least some traditions and beliefs that are at least 600,000 years old! This Lower Paleo artifact like the "Blood Stone" has been studied and researched for the last three years due to its unique purpose as a type of book used in a ritual, its almost unheard of Class II condition, and above all else it's fabulous but highly complex animated art, some of which is done in micro miniature (I am still trying to figure out how this was accomplished). 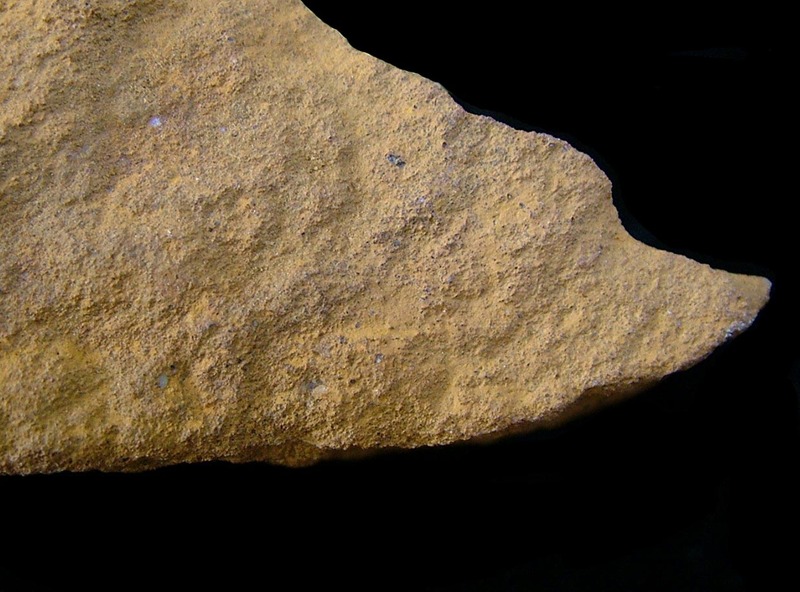 There are some indicators this artifact and the "Blood Stone" may have been made by the same "people" during the same period. 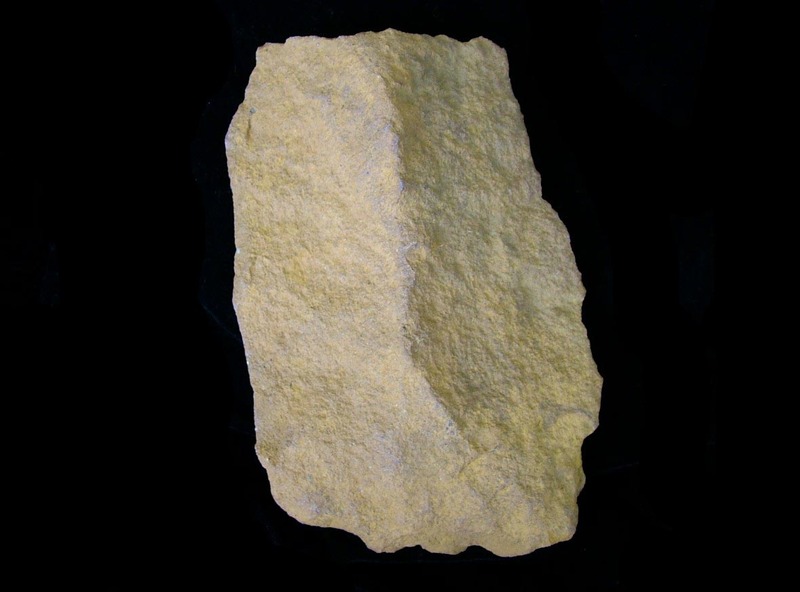 Based on the information about prehistoric mankind that this artifact contains, it is without a doubt one of two of the most important Stone Age object known and one of the world's most important works of art. Although I feel that the pictures provided here verify this opinion, it is still much more impressive when seen in person. I also feel that although I have pioneered this Ancient and Stone Age miniature art branch of study and done my best attempting to interpret the symbolism, there should be other interpretations. I say this as I have experienced first hand in many fields that no matter what an individual's qualifications are, or how first they are, no one is "the" expert in any field or branch. It can be speculated that if anyone gets the symbolism on this artifact even 50% correct, then they may have more definitive answers as to what is hardwired in the way of images and symbolism in we moderns, as it would appear that many of these are still with us today. 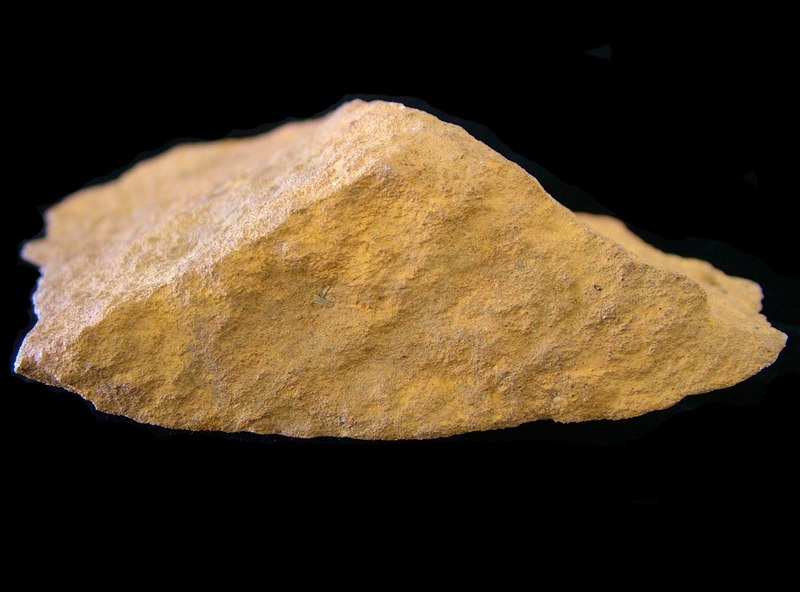 This is a Homo Erectus Heidelbergensis (Heidelberg Man, thought by some to be the Archaic Homo Sapiens*) Quartzite Ritual Artifact, but there is more as there is every indication that this may have been made by a Sapiens (Modern man). After careful examination it appears that it had actually been a type of axe/club, and that it had been cut and then decorated in order to be used in a ritual. Overall it is made as a bear's left front paw and, or a mitten. The indentations and grooves are exact as to be carried with the right hand only, that is with the outside of the paw being positioned inward. It appears that in a part of a ritual that it symbolizes a Heidelbergensis walking with a bear god (or guardian, or teacher), that is while holding the bear's left front paw. with the right hand, the hand hold is almost exact to that of "Roman Concrete Venatore and Bestiarii Gladiator Advertising Shingle" that is listed on the home page as the Roman Officer Permanent Collection: Roman Gladiator Artifacts. The indentations on the bottom and the top are exact as to be held by the top upright (once again with the paw inward) on the right knee while sitting, the iconography in this position suggests that it is a separate part of a ritual. The initial pictures of this artifact are listed with the Roman Officer Ancient Miniature Art Collection. It is a massive 18.6 cm in length. It is from a well known old German collection and originates from a famed site in Battenberg (Palatinate / Germany). 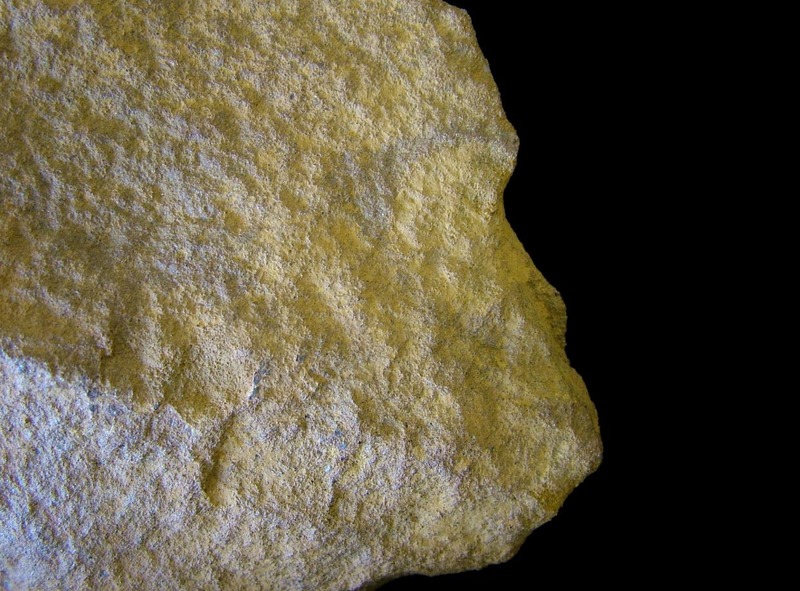 The site is scientifically dated at 600,000 years old. The site code/number is painted on one end of the stone, it is K19 - 72. The information and pictures of the miniature art with this posting are interpreted as being of Heidelbergensis's view of his tribe's or band's Genesis, although tribal groups are not thought to have existed until the Neolithic Age, much of the iconography suggests that this was a totem ritual type of book of a tribe or very large group's belief system. 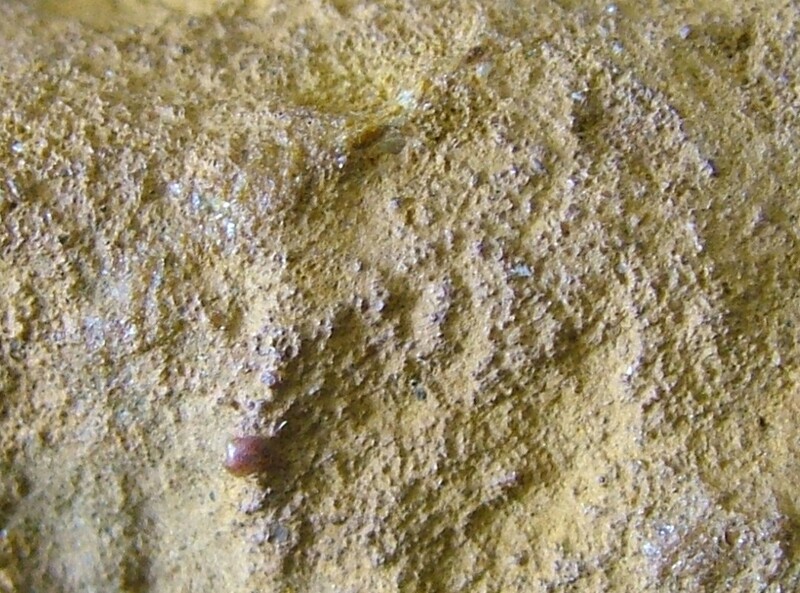 Some of the technique used to decorate this artifact involved coating the quartzite with clay then inserting a few small specks of quartz or other stone specks, then baking in a kiln, then engraving, then working small amounts of paint and charcoal, then further engraving, then applying a resin coating, then applying isinglass (fish glue). Some of the focus is areas that shows organic material which appears to have been soaked in resin, hardened, engraved or other work, and then coated with an even thicker resin. The largest of these is 3.1 mm, the smallest is 1.2 mm. The organic material appears to include the following: a sliver from a seed, a sliver from skin of a fruit and or a nut; a sliver from a stick of wood, a sliver from a leaf and or human or animal skin, a sliver from a human fingernail, a strand of hair, and at least two pieces of amber. 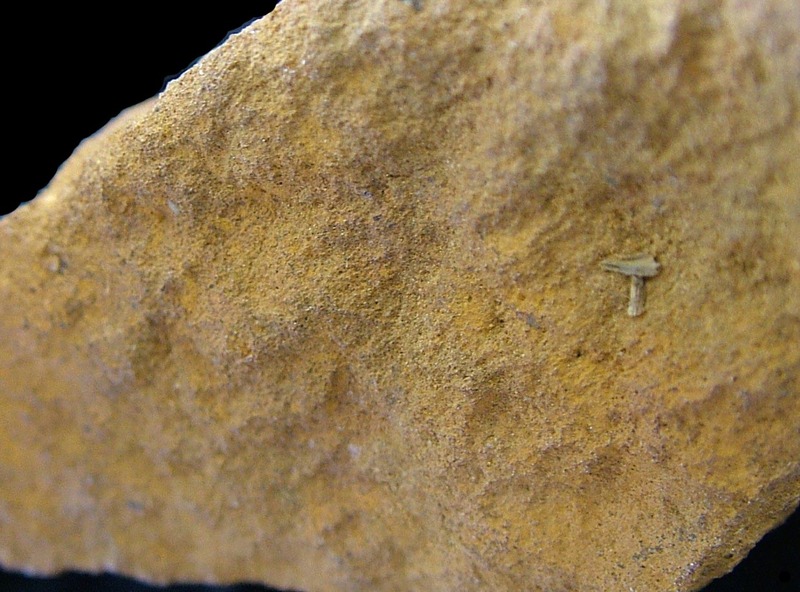 The organic material is fossilized. 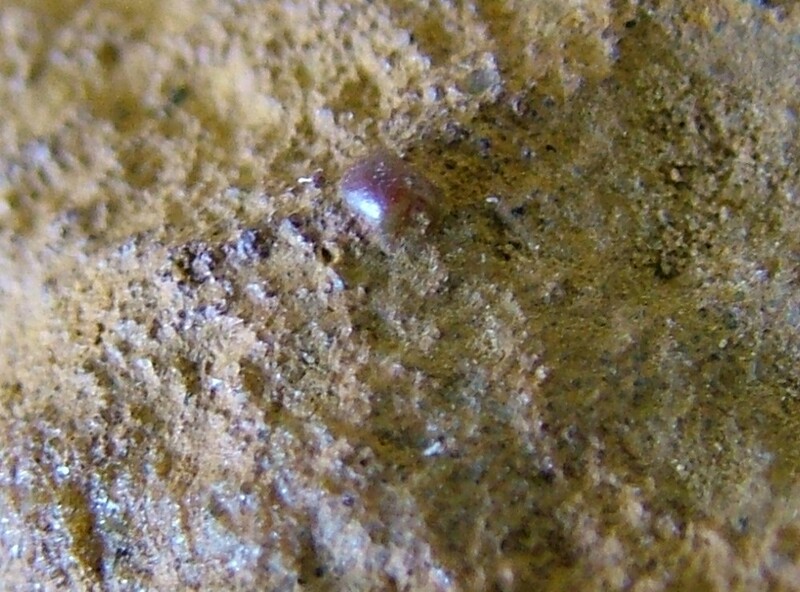 How such micro art work is possible in the Lower Paleo is not known, but there is a hint that the Heidelbergensis may had used a magnification piece (is so then it was most likely made from rock crystal and isinglass). *Archaic Homo Sapiens are thought by most paleontologists to have developed in Africa 200,000 to 180,000 years ago, with Homo Sapiens development beginning 50,000 years ago. This group of pictures is of the top area of the ritual artifact when carried, it is what the holder would see if looking down between the right forearm and hip. 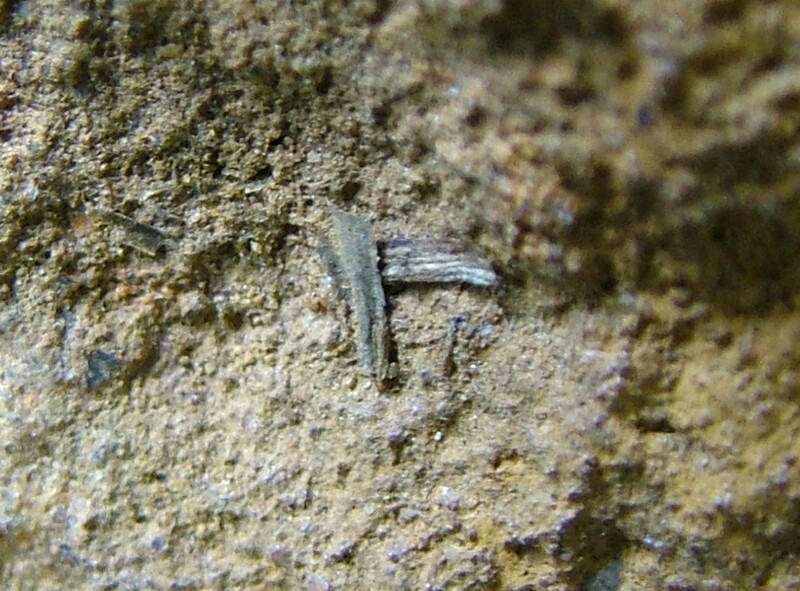 The baked clay is somewhat thinner with this part of the artifact, due to this when photographed at a distance the reflection of the quartzite under the clay will blur the picture, I expect to have this resolved with better pictures provided at a future date. These pictures provided shows that the top area is overall made as a large pair of lips, so according to a lips theme on the "Blood Stone" as well as other ancient artifacts, then it should be a dawn theme. On top of the lips and in the center is a figure with a large roundish head, this may be a solar figure. To the left there is a large indentation of a human right foot pointing downward and slanted to the left. To the right there is the head of a large long snouted bear. Of note is a small area seen with pictures 4 thur 6. There is small figure outlined in light brown, to the left of this is a smaller greenish-gray motif, this motif is made of organic material; among other things it has a sliver from a stick and a sliver from a leaf, it is a main theme on this ritual artifact. This group of pictures shows with pictures 1 and 2 the ritual artifact on the other side, but not the details. Pictures 3 thru 11 shows the top area of the ritual artifact when carried, it is upside of what the holder would see if looking down between the right forearm arm and hip. To the left is the head of a large bird, near the top and to the right there is a small white stone, this is an important theme with another picture group. To the right is the large head of hare. This group of pictures shows the bottom area on the inside of the artifact where the palm of the hand would be if carried. Picture 1 shows the head of a type of hominid or primitive man that may even be a monkey. Pictures 2 thru 4 shows that when the artifact is moved that it transforms into a scene with a large knife. Pictures 5 thru 7 shows that there is a small figure facing the viewer that is holding the large knife. Pictures 8 and 9 shows this area to the right. Pictures 10 thru 14 shows when the artifact is moved this area will transform into a scene that shows a streaking ape's head with a torch in it's mouth, there is something on and in the ape's head and there is also a face on the upper part of the ape's mouth. The appears to represent a meteor or a comet, it is evident that the ape is a fire bringer. Pictures 15 thru 17 shows that when the artifact is slightly moved it will show what appears to be another type of knife that may also be a torch, although it is not seen in these pictures, it is also a boat. This group of pictures shows the artifact in the position that it would be if placed on the knee, another words it is upside down from the carrying position. Picture 1 shows the front, this has a great deal of detail and art that will animate, but it is not part of this project. Pictures 2 thru 9 shows the back of the artifact in this position. Although it has many more details the focus of this is to show that one of the main themes is of a tree, as will be seen it is of a fruit bearing tree. Picture 10 shows a very small brown dot near the tree trunk. Pictures 11 thru 13 shows that it is in fact burgundy in color and is a fruit, but other pictures in this group and others will show among other things that it is also a seed and a nut, but yet overall it is a bead. Pictures 14 thru 17 shows a small white stemmed burgundy capped mushroom to the right. Pictures 18 thru 23 shows that the bead has a face on it, the face is looking at the mushroom. Pictures 24 thru 26 shows this area in another position. Pictures 27 thru 34 shows that when seen overhead that it is in fact a bead, but also a hut. This group of pictures shows the detail of the bead. Pictures 1 thru 12 shows the bead as a hut, there is an entire scene with various figures that very much suggests an initiation or healing ritual, it should be mentioned that picture 12 shows two faces (one dark and one white) on top of the hut's opening. Pictures 13 and 14 shows the bead transitioning when the artifact is slightly moved. Pictures 15 thru 21 shows the bead now a seed that is also a fish with a wide open mouth, there is a small white face in it. Pictures 22 thru 30 shows a dark face with two white teeth and a round fruit for a nose, in front of the dark face is an acorn, to the right is the fish's mouth that is like a tent or a peaked hut with a figure either entering or emerging from it. Of note is that with pictures 29 and 30 it shows that dark face as if eating. Pictures 32 and 33 show the bead in another position, it now appears like a fruit, perhaps a type of pear or plum. The theme with this may be of a shamanistic initiation or healing ritual that included a diet with no red meat. This group of pictures shows the bead in another position and then transforming when slightly moved, it first appears as a wooden bowl and then more as a bead. Pictures 1 thru 4 shows the bead as a wooden bowl, there are various figures in it, in picture 4 there is a central figure with an open mouth and holding something. Pictures 5 thru 7 shows a figure on top of the bead holding a small white club, most likely representing a bone or ivory club. Pictures 8 thru 13 shows a scene to the right of the bead, of note is a very small figure wearing a flowing head band, the figure is as if running. 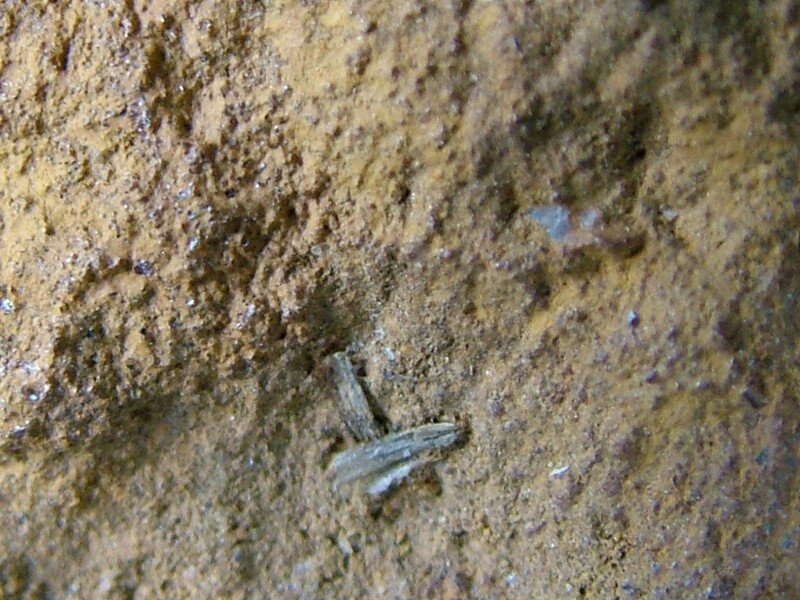 This group of pictures shows the small light gray green area on the top of the artifact with in the carrying position, it is made of organic material of a sliver of a stick, a sliver of a leaf, what appears to be a sliver of skin, what appears to be a sliver of a finger nail. Pictures 1 thru 4 shows a finger with four to five sticks as a pole on top, under the pole are smaller figures, the finger nail has what appears to be a micro piece of amber, if so the it may suggest rubbing to create an electrical charge. 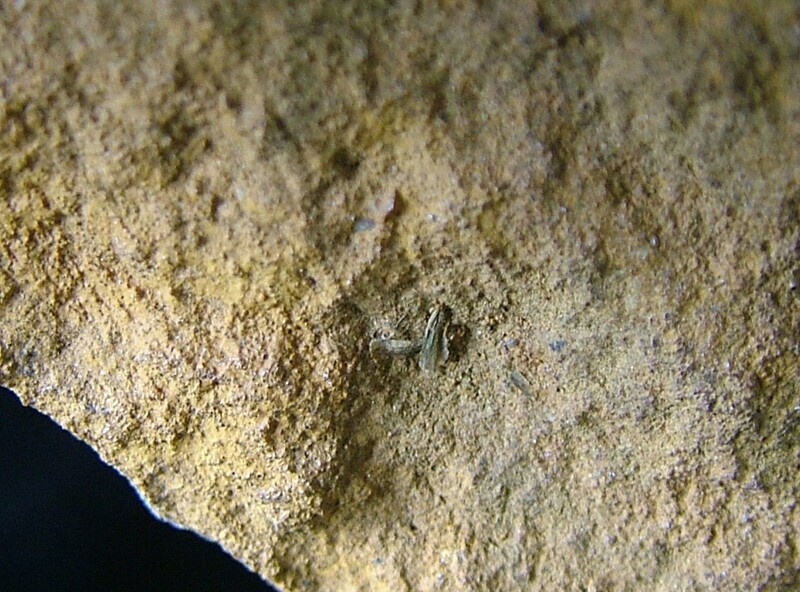 Pictures show that the finger is pointed at a small white stone. Pictures 7 thru 9 show the stick and finger is now transformed into a wooden knife with a curved blade. Picture 10 shows the small white stone that the finger is pointed at, it is an area that has a key theme. Pictures 11 thru 13 shows the stick and finger in a slightly different position, the knife appears somewhat like a fish. This group of pictures shows the stick and finger in another position. Pictures 1 thru 3 shows the stick has transformed to an otter or a fish, or both of these, in it's mouth is a hair that is like a fish line, bit more like part of a triangular fish trap with a figure coming out the front. The finger nail on the finger is now like a type of dart that is pointed downward. Picture 4 shows the stick is now like a type of long box with a face on it, the finger nail now has a figure on it. Picture 5 shows the same theme in a different position. Pictures 6 thru 9 shows the otter again over the fish trap, the fish trap may also be a type of water dwelling. This group of pictures shows the stick and finger in another position. Pictures 1 thru 4 shows that the finger now may be a type of bird's head, the stick has a few standing line figures on it. Pictures 5 thru 8 shows this in a different position, the stick now appears as a type of brush or broom, or both of these. This group of pictures is of the stick and finger in another position. Pictures 1 thru 12 shows that the stick is now a horizontal wooden club that has the vertical head of a creature with a large eye on it, behind this is a bee figure, the finger is now a figure in a fancy headdress (that may represent the wings of an insect, if so then it is likely another bee figure) and a long robe that is flared, the figure is holding a small stick figure. Behind this scene is a type of bee hive hut that may also be a fruit bearing bush, inside an opening there is a face next to a flower. Pictures 13 thru 14 shows the figure in the fancy headdress is now of a leaf, or wearing a leaf. This group of pictures is of the area that has the small white stone embedded in it, it is what the finger is pointing to, the stone does not appear to be made of quartz, it is similar to some type of glass, the theme of this in the overhead position suggests that it may have originated from an aerial burst, an impact crater, or something similar, but whatever it is supposed to represent it should be some form of powerful natural phenomena. Pictures 1 thru 5 show this in the overhead position, there is a white figure as if part of a cloud, under this is a large head as looking upward and receiving a charge, this may or may not be a suggestion of an electrical cloud, or ball lightning. Pictures 6 thru 11 shows this theme in another position, it shows a the white stone has a micro round bead of amber, in front of this is a figure that is part of a large decorated cross tipped by a roundish type of fluer, this is all lightly painted in outline. Pictures 12 thru 15 shows the area of the white stone in a slightly different position. 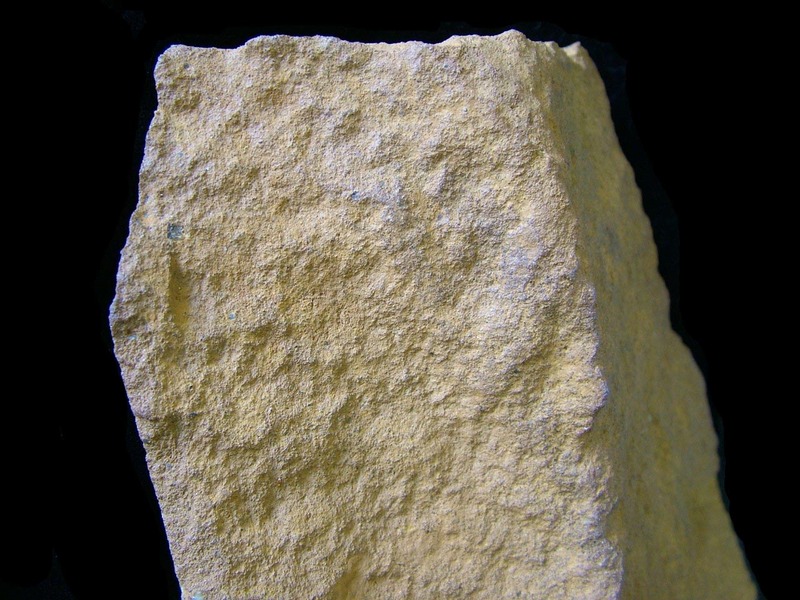 The white stone has a face on it in profile, there is a slightly curved figure in front of it holding a small cup, it is if the slightly curved figure is holding the cup for the face on the white stone and that the face on the white stone is either looking in the cup or about to drink from it. Pictures 16 and 17 show this same area with bright natural light, it appears to be roundish, it is not, it is in fact flat. Pictures 18 thru 20 shows the stone in another position, it is upside down from the position with the previous pictures, it hints at a bee hive. Pictures 21 thru 24 shows this area in another position, it has a key theme with how the magnification for the miniature art may have been accomplished, but pictures that show this have not yet been obtained, although some of the pictures with Title 15 with the additional pictures linked at the bottom of this page show some of it. This group of pictures is of shows the artifacts two side views of the top when in the carrying position, for some reason when in these two positions and at a certain distance it will appear much brighter then usual, I hope to figure out this is so and provide better photographs at some time in the near future. Pictures 1 thru 4 show various figures. Pictures 5 thru 18 show this upside down. Specifically pictures 5 thru 9 shows a heart with a bearded male figure tom the left, to the left and overhead is a female figure (that may be wearing a horse headed headdress) looking downward towards a small child in the middle. When this is compared to a similar theme on the Blood Stone, then I have no doubt that it symbolizes a belief in the sacredness of the nuclear family. Pictures 10 thru 16 shows a large square head to the bottom left that is looking diagonally upwards towards the area on the other side that holds the white stone, in front of the square headed figure's throat is small light brown figure in a hat, in front of this is the stick and finger figure that is as the club and bee figures as seen in Picture Group 12, there is every indication that there is some connection with all this and speaking, it may represent "the first words ever spoken", or something similar. 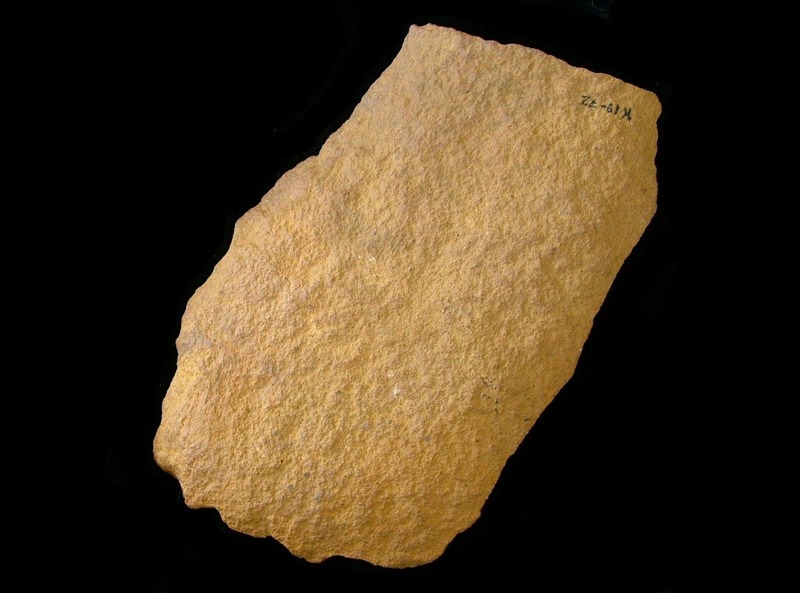 This group of pictures focuses to the right of the artifact when seen on top in the first position for carrying, it also focuses on an embedded engraved stone that is just around the edge on this area on the backside of the artifact, the stone may be smokey quartz. Pictures 1 thru 4 show the long snouted bear's head, but it is also a knife (I have seen this bear head/knife theme on other artifacts from the same archeological site), the lower part of the snout and the jaw is also a horn. Pictures 5 and 6 shows the area that is connected to this that it just on the other side of the backside, note that there is a small piece of an embedded dark stone on this. Pictures 9 thru 10 shows that this roundish triangular shaped stone has figures around a center opening with an equal-armed cross that closer up shows that it is a figure. 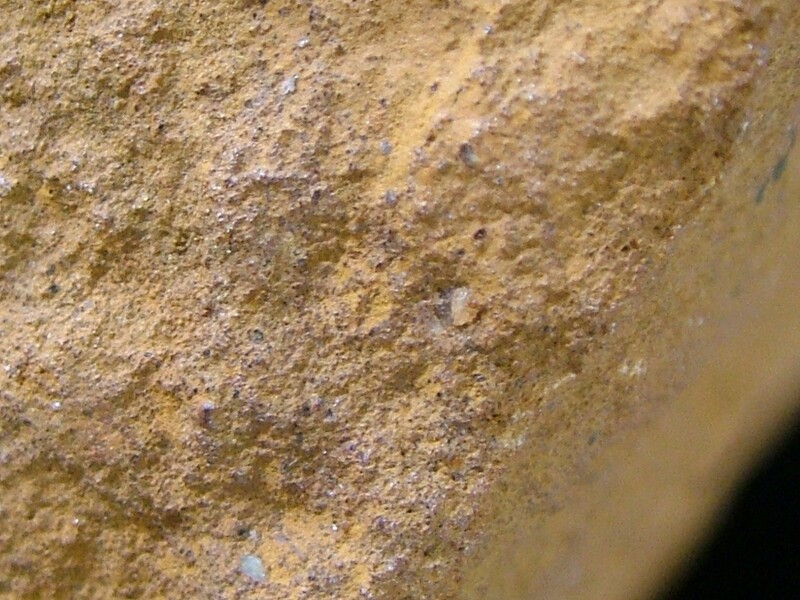 Note that the stone has a small deeply engraved hole, this shows that it is also a bead. Pictures 11 thru 15 shows a mask with the bead hole for one of the eyes, it has antennae with a string as if binding or harnessing, it looks to be a bee's face. There is a bearded figure to the left facing another sitting figure in a hat to the right, the sitting figure in the hat has an arm around a smaller sitting figure. It is if the human figures are binding and harnessing the bee mask, perhaps as if preparing to ride or riding a bee. Pictures 16 thru 18 shows the stone in a different position and it changes it somewhat as the bearded figure transforms into another bearded figure that appears to be attacking the bee/bee mask. Pictures 19 thru 22 shows that the stone is streaking, so it is a meteor or comet. Pictures 23 and 24 shows that the scene now shows that a figure holding a circle with a dot in the middle. Picture 25 shows a scene that may hint at a meteor/meteorite impact. Picture 26 shows figures, there may be a hint of a club and a coiled creature. 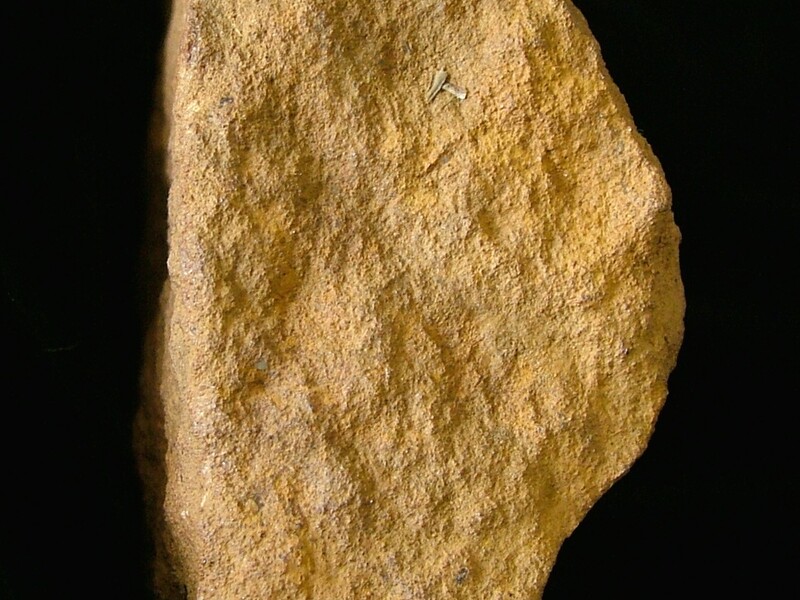 It should be noted that this stone representing a bee meteor or a comet is pointed directly at the tip of the long snouted bear's nose just around the edge, this is a theme that is somewhat similar to a bee long snouted bear's nose on the "Blood Stone", although the bear on that artifact is not connected to a knife. 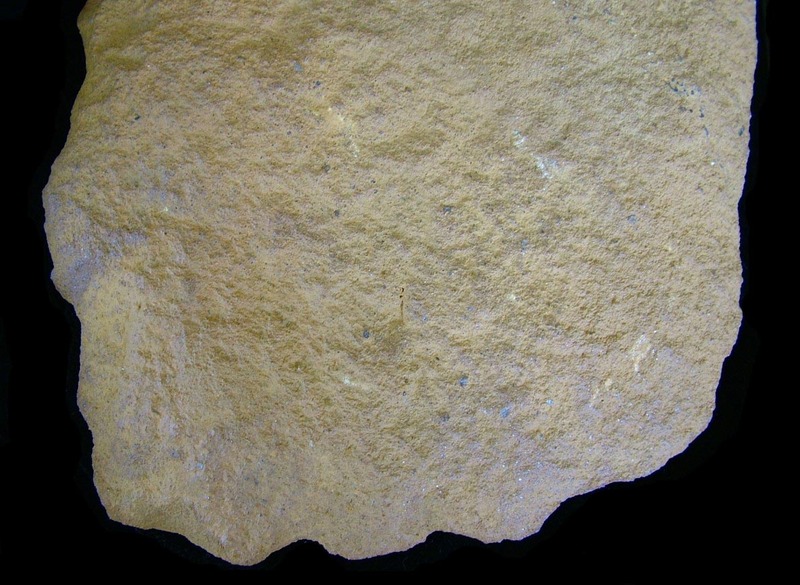 This group of pictures is of the other back side of the artifact concerning the meteor or comet stone. Pictures 1 thru 4 shows a large animal face, although it does not show it here, the animal head is in fact a well defined cave lion that is the head of a massive club, anyhow that is for another project, what is of interest with the stone is that it is connected as a meteor or comet to the cave lion's mouth. Pictures 5 and 6 shows a galloping creature, the stone is connected to the front of a large hoof. Pictures 8 and 9 show that the galloping creature is in fact a horse. Pictures 10 and 11 shows this area but upside down from the previous position, there is a large headed dog like creature with it's jaws open, it may be a cave hyena, it has the stone for an eye. Pictures 12 and 13 shows the stone in this position, it has an "S" that may be a snake (but other art on artifacts from the same site has shown that it is a symbol for rope that is also a solar symbol) and a triangular bead. Pictures 14 thru 16 shows a side view in the position of the two previous pictures, it shows a sitting gray bearded figure to the left, a smaller thin figures in the middle, and a sitting figure to the right. Pictures 17 thru 20 shows the stone in another position, it appears to be of a standing figure in the middle being pulled by larger sitting figures. If you would like to see additional images that are included with the pictures in these picture groups: Click Here!